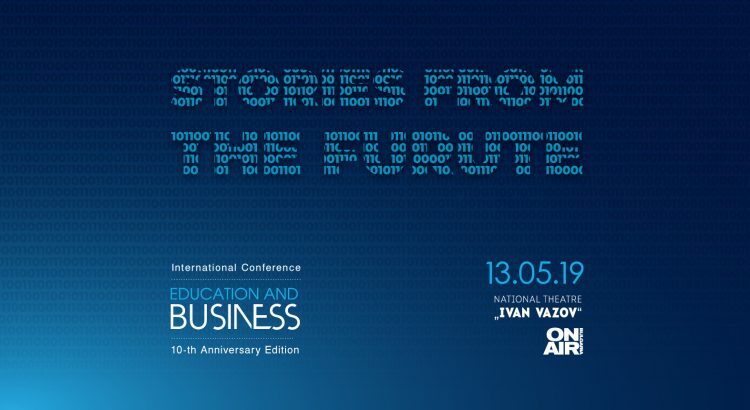 The 10th edition of the International Conference “Education and Business” will present “Stories from the Future”. The event, organized by Bulgaria ON AIR, will be held on May 13th at the Ivan Vazov National Theatre. Doors open at 19:00 o’clock. During the event, one of the most iconic buildings in Bulgaria will become a space where the past, present and future will meet to prove that when education and business work hand in hand, success is guaranteed. “Education and Business” will present innovations in all spheres of life, including the latest trends in fashion, automotive industry and arts. The aim of the event is to illustrate how crucial the link between education and business is. Further emphasis will be placed on the new digital revolution, the robotization and the digitalisation of art, culture and entertainment. The conference will also analyze how the educational process of those born in the new millennium changes the world of technology, online communications and social media. The nine previous editions of the conference reviewed the importance of education for the development of sustainable communities, regions, cross-border projects, etc. More details about the past events, as well as up-to-date information on the upcoming conference, will be available here. Entrance is free upon registration at [email protected].